Admit it, no matter how much of a fashionista you may be, there will be days when you're just too lazy to look all dressed up. All you want to do is just head straight to your closet, blindly pull something on, and head out the door. But, please don't do that---it might lead to a fashion disaster. 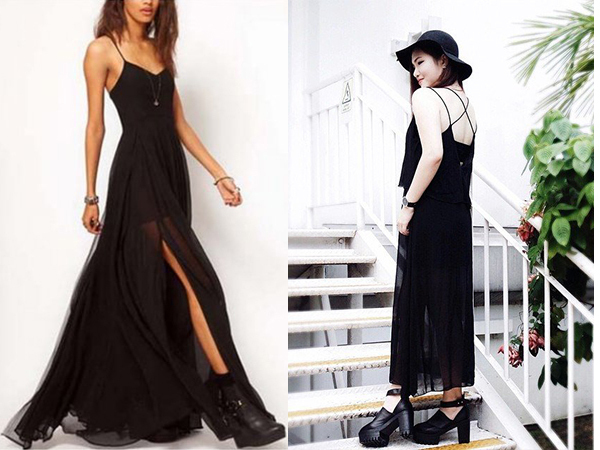 So here's our top tip on how to look fashionable even on lazy days: go for long skirts, dresses, and jumpsuits. The great thing about length is that it makes anything look elegant and effortless, giving you a stunning silhouette despite the simplicity of the outfit. That's the vibe you want to exude when styling these long pieces. To inspire you, we've rounded up the best jumpsuit, dress, and skirt looks from our Fashion Community for those lazy-yet-chic days! 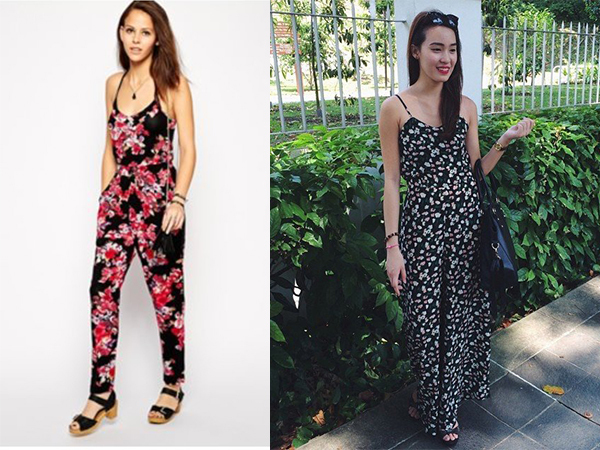 For starters, the floral jumpsuit is one of your best options. In awfullyamanda's look, she styled up her palazzo-style floral jumpsuit with a pair of black heels and a carry-all bag. You can get a similar look with this soft jersey floral jumpsuit from ASOS with a scoop neckline. 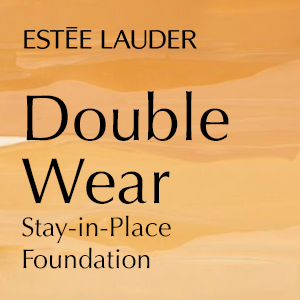 Just dab on your favourite red lipstick to add a pop of colour and you're good to go! For days when you have tons of leg work to do and meetings to attend, brighten up the hectic day with a bold and brightly -coloured jumpsuit. As seen on axdelwen, this kind of jumpsuit is easy to style as she complemented the bold, bright colour with a black necklace and sneakers. 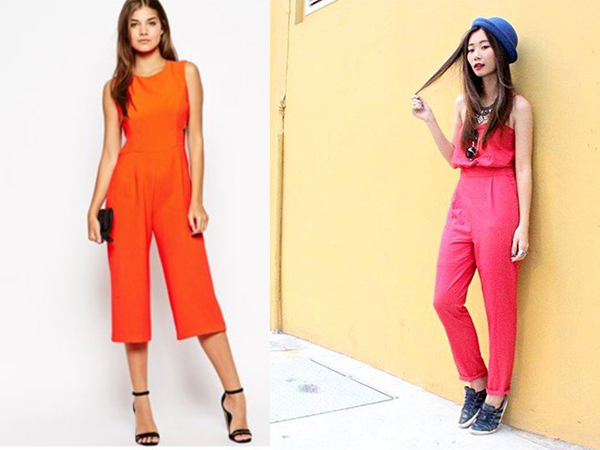 If you have to go somewhere with a formal set-up, you can opt for this orange culotte jumpsuit from ASOS. Just slip on your favourite heels and clutch and you're ready to seize the day. Feeling lazy but still want to look girly? Worry no more because skirts are here to save the day! 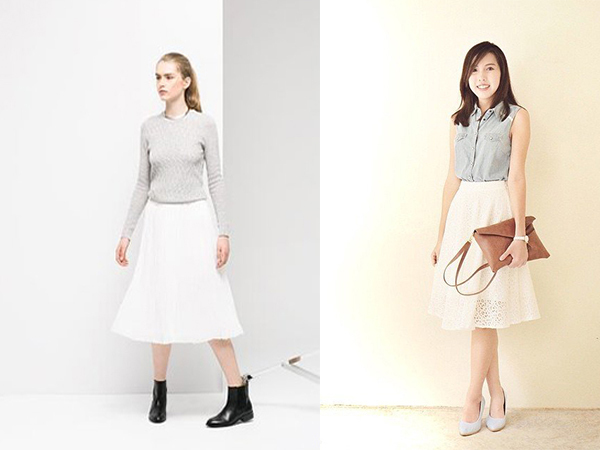 Skirts are not that hard to style as it only needs a few basic add-ons to complete the look. Clozette ambassador, chloewl, styled her midi-skirt flawlessly with a denim top and powder blue pumps. You can also try this pleated chiffon skirt from Mango for a little play on texture and flow. If you have a minimalist style and love going all-black, this look from Honeyflowerr is the OOTD-inspiration for you. Looks such as these are foolproof and can definitely be worn on lazy days. To get this look, pair your favourite floppy hat and platform boots or heels with a long style spaghetti strap dress like this one from Sheinside. How do you dress up on lazy days? 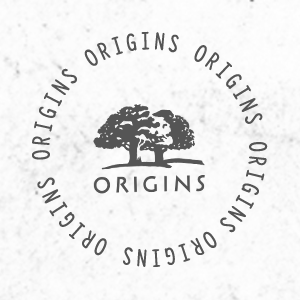 Snap and share with our our Fashion Community!